4" quad tips...I have underestimated all of this..
Yeah looks like you need a little more, looks like the 2.0 build has started though! 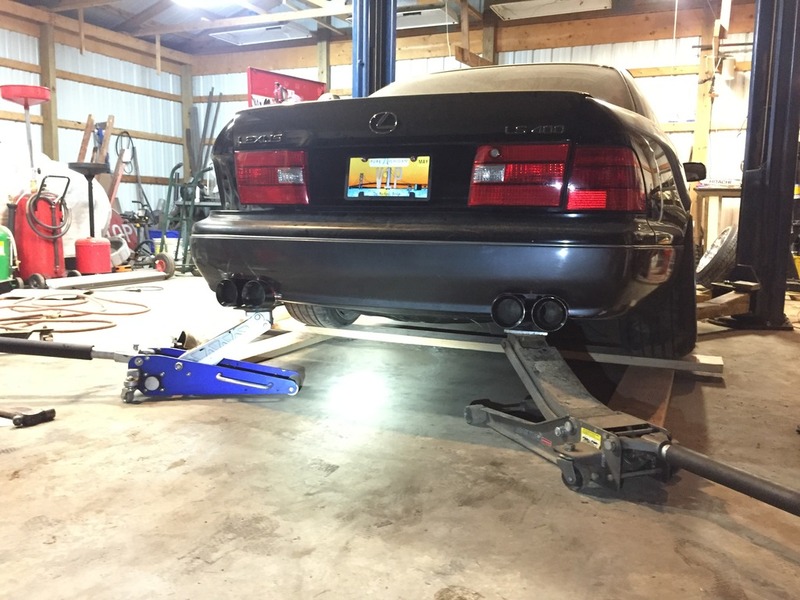 I am my own exhaust shop lol. I have about 1/4" clearance between the tip and frame rail, less than 1/8" around the bumper to tip. Need to find some stuff mounts to weld in just behind the tips so they dont move around much. making up some exhaust adapters tonight then weld it in tonight, pull the bumper and prep it for paint. When you dial these in this will look awesome. I've always wanted a quad tip setup pretty similar to this, can't wait to see the results. in my opinion, going any higher will look un-proportional like the exhaust is coming out of the middle of the bumper. where you have it looks great! painting the bumpers is up next. couldnt find any good hangers yet, these things need to be consttrained in 2 planes so they dont touch the bumper cutouts. ride height is jusy about dialed in. 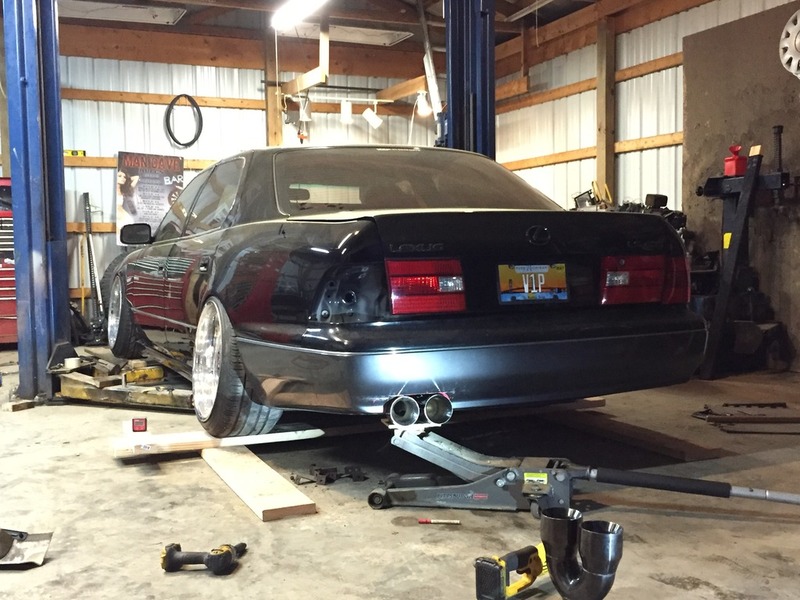 Any lower and i cant turn the fronts and i scrape frame rails going into my shop. after that, slight tint on the taillights and dark tint on the side windows. nice work! love the ride height! 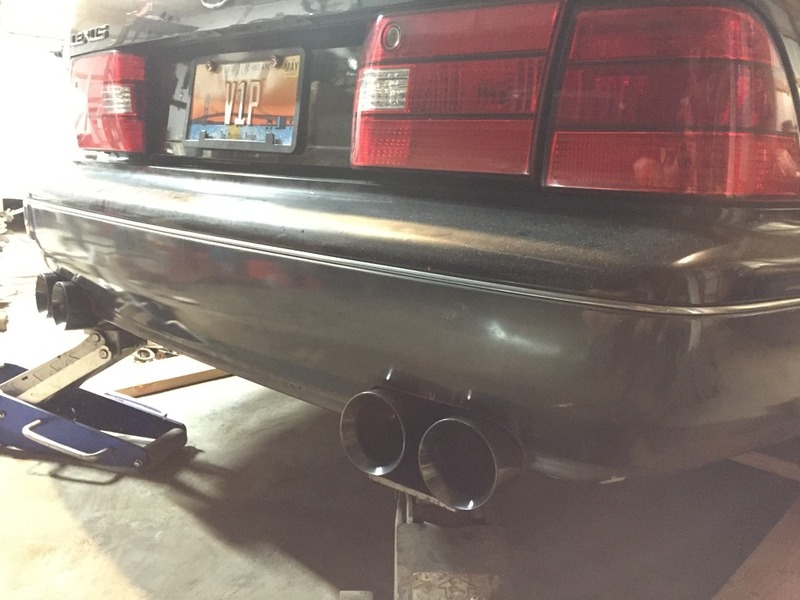 how does the exhaust sound? stock resonators? thanks, the front has been lowered since that pic, Im at 40mm fender to lip all around (rear was at 40 in the pic). 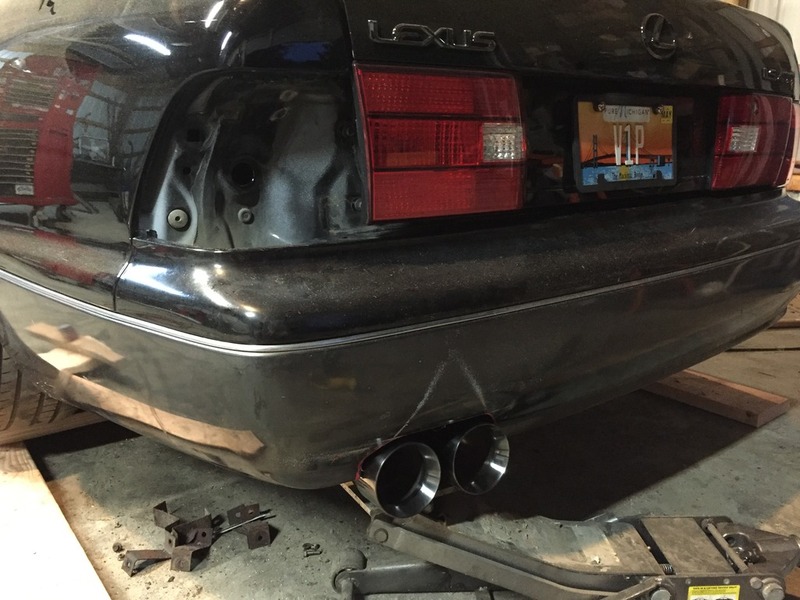 the rear mufflers have been deleted previously, so have the stock resonators in there. Sounds meaner than before with the 2 dumps, but less bassy since its not echoing off the ground. I friggin deleted the video off my phone (always have the out of storage message pop up when i need to take a pic! ), so i had to download it off my IG, quality is butchered. I really like the new tone, the tips added a bit more growl to it, as before it was very smooth all the way. It did drone quite heavily before toolign around town, well see now, havetn driven it on the road yet. Got some BBQ gloss black paint to do the pipes in, still need to figure a proper hanger solution, bailing wire is too hack, but worked good for keeping them steady and making sure bumper cutouts were perfect. Will see if i will run the cutouts as is or if i want to put a trim piece around them. lovely! the way the 1UZ should sound. interesting to see the tips done in black for a stealthy look! why the missing taillight? broken? 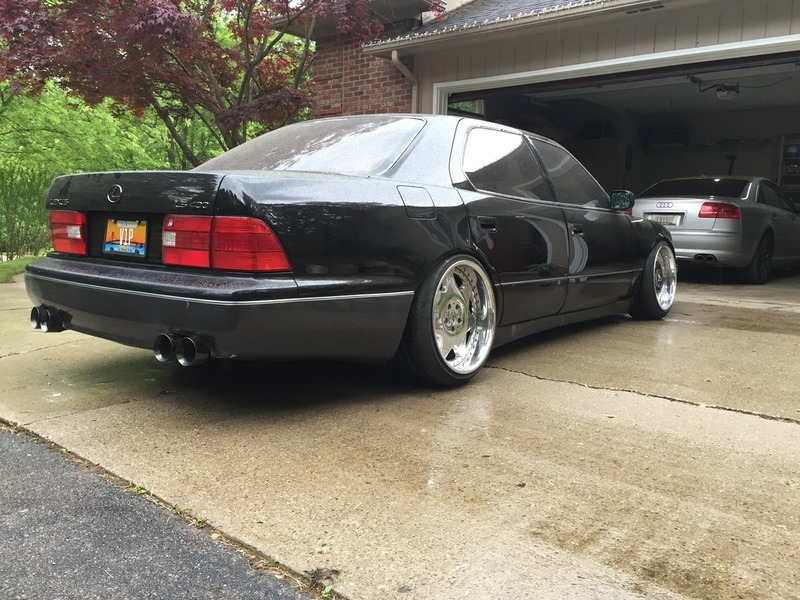 Tough LS man, exhaust look mean, fitment and ride height are great, I love it. How does it sound? I have always loved these things. Will have to look on my phone, no media allowed at work. Quick Reply: 4" quad tips...I have underestimated all of this..